As you can see from my bears, I have been dyeing mohair for some time now. 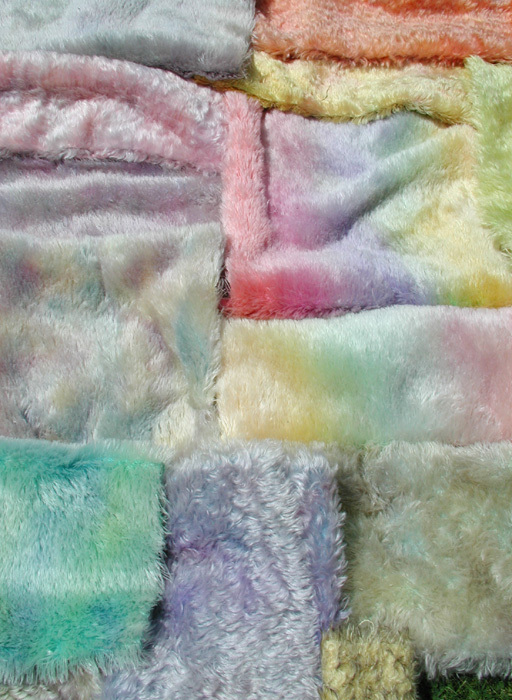 Following some requests I am now selling hand dyed mohair, you can either buy some of the mohair that I have already dyed or tell me what you would like and I'll try and make it for you. I use white or off-white German mohair, in straight, wavy, sparse, feather and long piles, in lengths ranging from 10mm up to as long as I can get (around 80mm), the same as I use on my bears. At present I can dye 1/8, 1/4 or 1/2 metre, either as thin pieces or fat pieces. You can buy mohair or kits from me at the fairs, or by calling me, which I prefer to email when it comes to discussing mohair. I am willing to have a go at any of your requests/challenges, so if you want a blue piece with pink spots, or a subtle blend of bright orange and lime green that's what I'll attempt for you, or even dusky browns and greens. You just have to say what you want. I also do bear making workshops, so why not make a day of it and make your own Barbara-Ann designed bear in my hand dyed mohair. Follow the link at the bottom of the page. 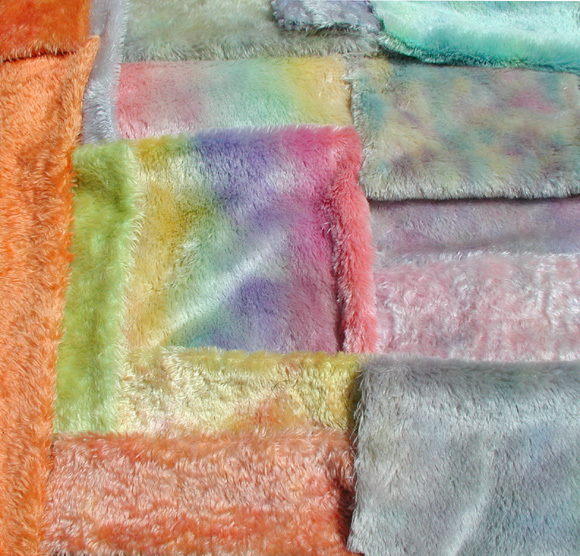 Here are a couple of examples of some pieces of mohair that I have hand dyed, please click on the pictures to enlarge. Please use the links at the top of the page to see the mohair I have available at present. If you have made a bear using my mohair and would like us to put it on our website , please e-mail or send me a photo. Here are some people who have done this already, click on their names and it will take you to photos of the bears that they have made. Don't forget to look at the recent bears that I have made using my hand dyed mohair too, follow the links from the home page to find them. If you'd like to have a go at making your own Barbara-Ann Bear please have a look at our one of a kind kits .